The Internet of Things marketplace is a diverse collection of businesses of all shapes and sizes, but if there is one requirement that unites them all, it is the need for reliable and affordable IoT connectivity. The short answer is no, but in order to understand which IoT connectivity provider you should choose, you need to determine what the requirements are for your business. Is your business big or small? Is it global, regional or local? Are you concerned about time to market and time to deployment? 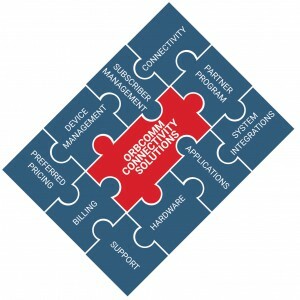 Do you only need connectivity or are you individually sourcing other IoT solution components, such as billing and subscriber management, hardware and applications? Flexibility with your IoT connectivity provider is now more important than ever. We often see single-carrier solutions limit capabilities locally and internationally, leading to a sub-optimal user experience, delays in time to deployment and low rate plan flexibility. Some businesses opt for a mobile virtual network operator (MVNO) over a single carrier. MVNO’s buy large packets of data from network providers and resell at flexible rate plans. Many MNVO’s offer connectivity from multiple networks globally. 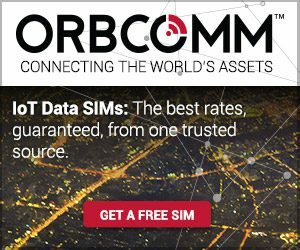 In the case of ORBCOMM’s MVNO capabilities, we have relationships with seven tier-one network operators worldwide. One point of contact means worldwide connectivity on a mix of over 600 individual carriers thanks to roaming agreements. More than just IoT connectivity, there are many pieces of the puzzle needed to bring a solution to market. Device management, subscriber management, billing, system integrations, hardware, applications, support and more. Traditionally these need to be procured individually or developed internally before a solution is ready for deployment. Agility is key to staying competitive, and sourcing from multiple providers can create often unnecessary complexity and unexpected delays and costs. Many companies are now opting for “one-stop shop” IoT providers. That is, companies that offer more than just one piece of the puzzle, whether that’s connectivity, hardware, billing or other. One-stop shopping removes complexity and makes it much more cost effective, while also taking the headaches and uncertainty out of dealing with multiple companies and juggling different contracts, platforms and invoices. A single source provider enables the creation of market-specific IoT solutions with the assurance that all the building blocks are interoperable, and all come with a single point of contact for support. In the case of a worldwide deployment, it could take months of negotiating contracts, rate plans and device approvals, which then requires diligent worldwide management of all connected devices. Some projects that start in the US with a specific carrier, but later have the need to grow internationally, are unable to rapidly scale. When it comes to IoT security, the adage “you are only as strong as your weakest link” is quite relevant. IoT security should comprise several parts and layers, with an implementation of both proactive and reactive security policies and tools to prevent network compromise. IoT solutions are formed using a number of different layers of technology, including devices, connectivity, data storage and analytical functions, along with the application itself. Companies that offer solution-building tools tend to specialize in specific layers, and generally don’t offer the full range of tools. Companies that offer full solutions generally integrate offerings from multiple companies. Some of the worst data security breaches have occurred at the often ill-defined transition between component providers. Driven by either a lack of detailed understanding, or for integration simplicity, certain precautions may not have been taken in the creation of the complete solution. For example; not resetting remote device login usernames/passwords from their default manufacturer values, not encrypting data between devices, data servers and applications, or even just exposing an undocumented data access mechanism. The solution may operate as required but be open to security threats which can be very difficult to detect and protect against. A one-stop, full service IoT provider on the other hand, successively builds and specifies each layer of the IoT solution stack, enabling a much more tightly controlled environment and security framework. 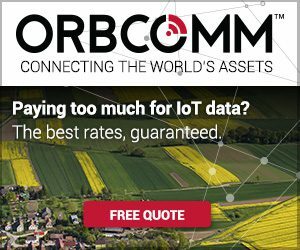 To learn more about ORBCOMM’s IoT connectivity solutions, visit www.orbcomm.com/en/networks or email us at sales@orbcomm.com.